123Print's goal is to provide you, our customer, with a chance to show off your creative side with quality personalised products at a price you can afford. Follow us for exclusive special offers! 123Print's mission is simple - help you be you. How do we do that? By providing you with high-quality printing that is both affordable and totally customisable, so that you can be the cool creative person you're just itching to be - without breaking the bank. 123Print offers a wide range of products that are fully-customisable to fit the personality of any event, business, or person! At 123Print, you'll find products that help your small business stand out in a crowd, all the while allowing you the freedom to stay true to yourself. We've got business cards, letterhead, compliment slips, address labels, note pads, appointment cards and so much more - all waiting for you to unleash your creativity! Looking for something more personal? Browse our customisable designs for postcard invitations, greeting cards or our save the date products. No matter the occasion, no matter the event, no matter the product - 123Print's products are full-colour and fully - customisable - allowing you to add that personal touch. By the way, all products come complete with free photo and logo uploads. It's all here! 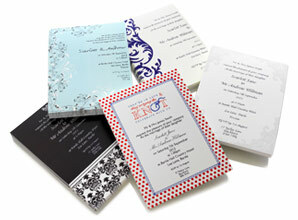 We're a one stop print shop, looking to make your shopping experience easier and enjoyable, so that you shine. See, here at 123Print, we're all about simple and straightforward pricing. There are no surprises or "tricks" to make you purchase more than you need. We'll always tell you upfront what is free and what is not. By now, you've probably got a few questions. 123Print's mission is to manufacture and despatch products, which are ordered and received by 11am GMT, by the next business day - unless otherwise noted. We despatch via Surface Mail, unless otherwise noted on the product offer. In a hurry and need your order even faster? You may select the expedited option for even faster service! Curious as to where your order is once it's been despatched? Please feel free to track your order for exact delivery specifications by checking your order status. How do I contact you if I have any questions or concerns? How do I contact you if I have any questions or concerns? Here at 123Print, we are absolutely committed to making sure your web buying experience is a pleasant and easy one. Feel free to contact us at either service123@123print.co.uk a or by calling our customer Freefone number (0808 1788608) 8:30am to 5pm GMT Monday to Friday. So... why do customers keep coming back to 123Print for their personalised printing needs? We stand behind all of our products with a 100% Satisfaction Guaranteed policy,we provide our customers with one of the most stringent privacy and security policies on the Internet, and there are no surprises. What you see is what you get.